These delicate earrings are a lovely complement to the Women of Grace scripture bracelet. 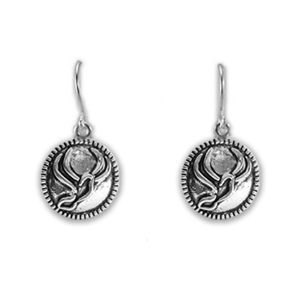 They beautifully display the Women of Grace dove logo in a striking marcasite-like metal with exquisite antique detailing. This one-of-a-kind piece is sure to remind its wearer that she is a woman of grace "for such a time as this."